YouTube Showcase Smart Search and Columns Addon helps you to filter and generate reports on your videos. 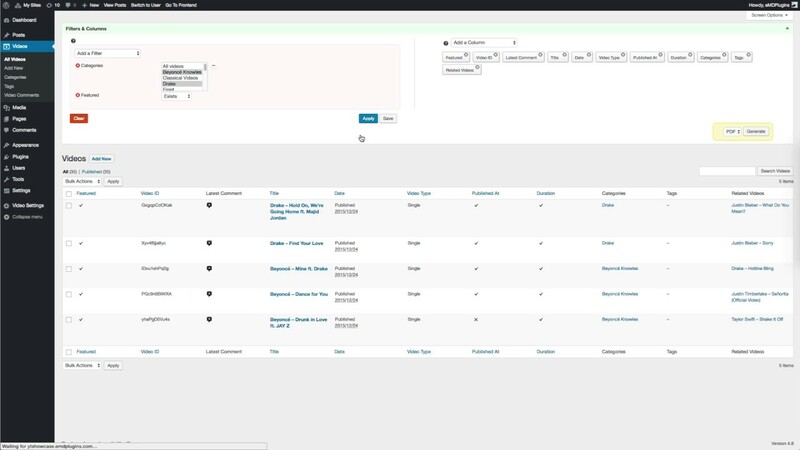 Search, create reports and enable/disable columns on your videos. Search your videos using multiple criteria supporting search operators. Find videos assigned to a category. List of videos matching one to many tags. List of videos which has no comment. List of videos related to a specific video and assigned to a specific category. Easily configure your video list by selecting the columns to display when viewing your entries. Sort your video list by fields.